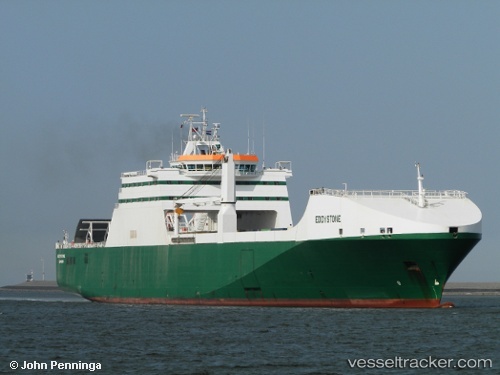 The Bembridge RNLI has been called to assist with a medical evacuation on the "Eddystone" in the Solent in the morning of MArch 4 while the ferry was enroute from Las Palmas to Southampton. The lifeboat crew were launched just before 10 a.m. The "Eddystone" had anchored near Shanklin Bay. The sick crew member was transferred aboard the lifeboat and taken to Portsmouth Hospital. A ship carrying assorted military hardware believed to be destined for South Sudan has docked at the port of Mombasa. The British-flagged Eddystone docked at the port in the wee hours of Wednesday and proceeded to Berth One, which was cleared for it. However, mystery surrounds the destination of the hardware after the Kenya Military denied it belongs to them. Military spokesman John Mwandikwa confirmed the arrival of the hardware but said there were many port users and any of them could be the owners of the equipment. “It (military equipment) does not belong to us (Kenya). Check with Kenya Ports Authority (KPA) or other government agencies to find out who the real owners are,” Mr Mwandikwa said over phone when the Nation sought his comments.